Francesco Ragazzi worked at Moncler for 10 years before launching Palm Angels, so naturally he considers the practicality and comfort of every design. 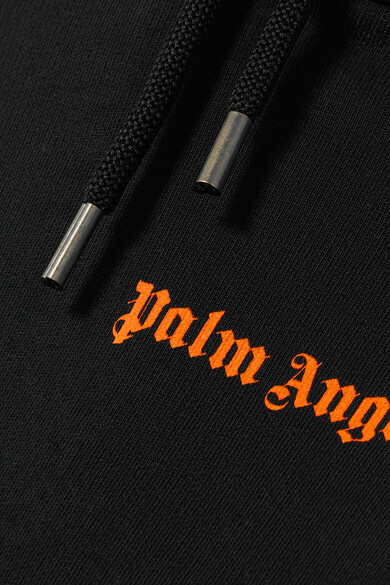 This hoodie is made from cotton-jersey that feels cozy and breathable at once. 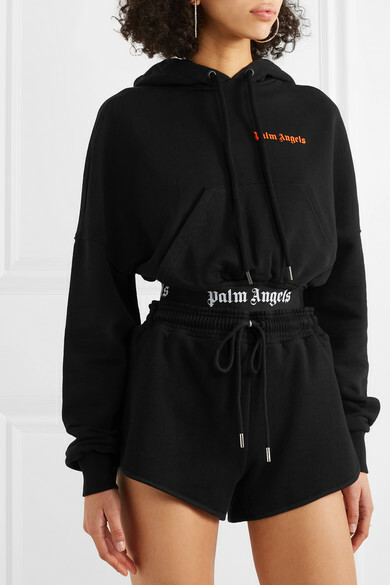 It's printed with the label's signature lettering and cropped to hit the waist, so it works particularly well with high-rise track pants and shorts. Shown here with: Ninety Percent Shorts, SIMON MILLER Tote, Vetements Sneakers, Jennifer Fisher Ring, Kenneth Jay Lane Earrings.